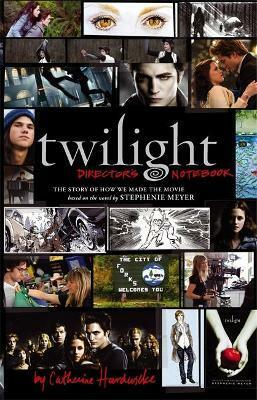 This intimate full-colour 'notebook', designed to replicate the one director Catherine Hardwicke kept on and off the set, takes you through the creative process that went into making Stephenie Meyer's breathtaking novel come alive on screen - from casting to costumes, stunts to storyboards. With never-before-seen notes, sketches, and photographs taken directly from the visionary director's personal notebook, this book includes everything from her visual inspirations, to step-by-step breakdowns of action sequences, to a behind-the-scenes look at some of the most pivotal moments in the creation of the film, and much more. Get the inside story - this collectable notebook will be a must-have addition to every TWILIGHT fan's bookshelf! Catherine Hardwicke started in film as a production designer and worked on over 20 films including TANK GIRL, THREE KINGS and VANILLA SKY. Her debut as a co-writer and director was with the Sundance award-winning THIRTEEN. She lives in Venice Beach, California.